So How does that reduce down and package as 60 or 75 minutes? This yoga teacher’s Intensive is for existing teachers to tune-up, refine their craft and top up their inspiration. It is not about performance of intermediate and advanced poses, but rather an intermediate/advanced understanding of poses and increasing your teaching tool kit. The program will boost your practice and sharpen your teaching skills. If you are already RYT200 and you wish to expand and refine your teaching and your career, now is the time join internationally acclaimed yoga teacher, Noah Maze, for a special 5 day yoga tuneup, in Los Angeles, California, in August of 2019. Each day will focus on a particular teaching strategy and associated skills and will include theory, discussion, experiential exercises and peer group teaching practicum, relevant feedback and homework. Noah will teach a class each day to exemplify the lessons and skills focus. You will write a sequence for each day of this training as we explore and unpack a variety of teaching and sequencing strategies. You will have a workbook to accompany your learning. You will expand your tool kit in sequencing for alignment classes, sequencing for vinyasa classes, effective verbal cues, observation and pose improvement, postural demonstrations, and physical adjustments. You will also learn how to up level your vinyasa yoga game. Expect strong intermediate practices (injuries ok and modifications will be provided) to further develop your own asana practice and understanding of pose architecture. You will be met right where you are at in your yoga experience and you will go to the next level in a supportive and rigorous learning environment. If you want to be a more effective and powerful teacher, start by examining the integrity of your offering over these 4 days. You will leave even more magnetic and magical! Whether you are a teacher looking for new skills and tools, to broaden your range, or improve your practice— this week will bring you to the doorstep of what’s next. Bring an open mind, courageous heart, (and a notebook)! This all levels forward bend focused class will open your legs, hips and back to move progressively and safely into deepening seated forward bends, hip openers and twists and inversions. Expect step by step instructions, progressive sequencing, the use of props and applied anatomy to strengthen and safely unlock the potency of these introverted poses. This strong mixed level backbend workshop will systematically strengthen your core and open your shoulders, upper back and hips/legs for backbends. We will progress from fundamental backbends into Urdhva Dhanurasana (Upward Bow/Full Wheel), standing up to Tadasana from Urdhva Dhanurasana and dropping back from Tadasana to Urdhva Dhanurasana. Expect step by step teaching, careful and specific sequencing, work with props, modifications, options and clear stages for all levels, and a passionate call to engage your heart. Learn more about when to touch and when not to touch. Increase the skill and efficacy of your use of touch. We will explore considerations of when and who and how to touch, as well as different types of physical adjustments in a variety common poses. 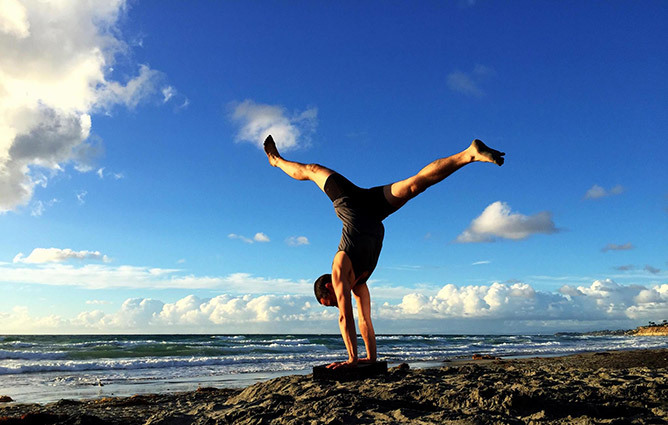 Demystify arm balances in this strong all levels workshop. Expect plenty of core strengthening, standing poses, hip openers and upper body strengtheners as we systematically deconstruct, prepare for, and reconstruct arm-balancing postures. Experience the graceful power of these poses and be ready for some breakthroughs! More information about exact location and logistics will be provided to students in the program welcome materials.